Food is being preserved through the process of drying. After a visit to the neighborhood grocery store, shoppers often hurry home to put their meat, chicken, and other goods in the freezer or refrigerator to avoid spoilage. Refrigeration, however, is in many instances a luxury for people living in other parts of the world. 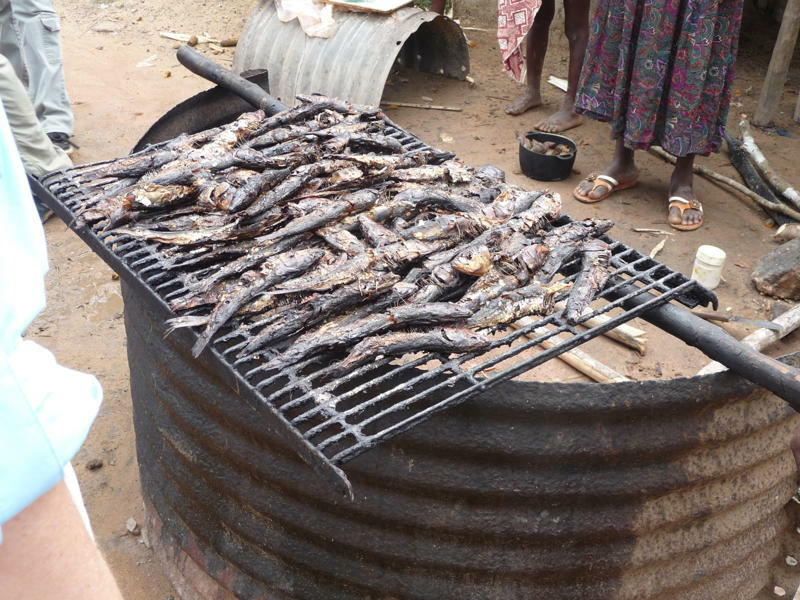 In rural Liberia, food is preserved primarily through a process called “smoking”, which is called “drying” locally. Market women who are recipients of Balama Development Alliance’s micro-loan program preserve their meat, fish, and chicken products by drying the food one to two days before the market day. This is done by putting the meat, fish, or chicken on a dryer over a fire. The combination of smoke and heat preserves the food for an extended period and also enhances the food’s flavor. Almost all Liberian cuisines are prepared using dry meat, fish, or chicken as flavor enhancer.